Apple has announced its new iPhone event on March 21st 2016.Apple is expected to launch some new devices and new OS, for the iPhone & iPad users. We have been hearing a lot about the new iPhone with smaller screen and it is expected to become reality in this event. So, in this article we are going to talk about the three things, which you should expect from Apple on this big event day. If the rumor is to be believed, Apple is all set to launch its new 4inch display iPhone. Expected to be named as iPhone SE or iPhone 5SE. From last two years Apple has launched two device each year, but of the bigger screen size. Taking the trend ahead of small screen, Apple might announce the small screen device. Other reason for the launch of small screen device might be to increase the market share of Apple. The phone is expected to be launched with price tag of $500. Another new device which is expected to be launched in the event is in the family of iPad. If the rumors are to be believed Apple might introduce 9.7inch iPad Pro or iPad Air 3. Apple’s iPad Pro may well be one of the not-so-mass markets Cupertino product. It has tried to bring pro features to iPad but struggled to deliver any use with it. This launch has more base as Apple’s iPad Pro has not made much impact in the market because of it big screen size of 12.9inch. As Apple has launched the beta version of the updated iOS 9.3, it is expected that new 4-inch iPhone might be launched with the updated iOS 9.3. The new version of the iOS should improve the split-screen multitasking feature and may officially introduce “Night Mode” which turns the colors easier on your eyes in dark environment. Apple Might also bring the updated version of the Mac OS X. Other than these things we can expect the updated version of Macbook, as Macbook, Macbook Air and Macbook Pro – are due for an upgrade. 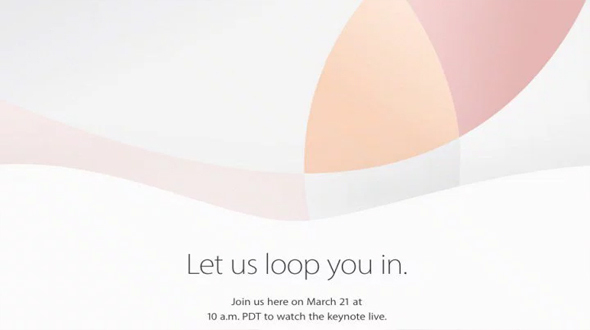 These are some of the expectation from Apple’s 21st March event.